Most of us learn how to manage people based on the way their parents managed them as children. Some get their strategies from teachers or coaches or a boss or two. Almost all of us do things that don’t work for us OR the people we work with. While there are some control freaks out there, most micromanagers end up that way because they don’t really know how to delegate and/or they don’t have good people to give the work to. Other managers, trying desperately to avoid being a micromanager/jerk, swing too far in the other direction. Good Luck Management isn’t actually better than micromanagement. It’s just bad in a different way. These management strategies typically turn into “What the Hell?” Management as the Good Luck Manager realizes the work didn’t get done right or didn’t get done at all. Both Micromanagement and Good Luck Management are bad, expensive, frustrating ways to “manage” people. Good management provides clarity, support, and accountability and helps people succeed. It matters. And it matters when it’s missing. If you want to be a better manager there are 7 smart (and simple) ways to manage people without micromanaging them. When you do need to give a command, don’t suggest or ask. Just be straight. Giving commands is sometimes required when you are someone’s boss. People understand that. You should too. It's only weird if you pretend they have a choice when they don't. Are you on the same page about how work needs to get done and when? An extra minute or two on what seems obvious might save you both frustration and extra work. Treat people like they are both professionals and adults. Ask when they’ll have it done. If you need it earlier, ask. Negotiate. Find out what they’re really up for instead of telling them and ignoring the hesitant nod they give you that indicates they can’t but don’t want to actually say so and risk making you mad. One of the simplest and BEST solutions to a lot of management problems is simply to agree about when things will get done. “Date” describes a target date for delivery. “Deadline” describes a date that MUST be met. Agree to the day AND the time so you don’t have to wonder or worry or follow-up. You know when to check back. Or better yet, create an agreement that they will alert you if they’re not going to get it done on time. Micromanagers act like they know everything. Instead of telling someone what to do, ask them how they would approach it. You might have to push a little to get them in the habit of taking the lead. Questions like; “If it were just up to you...,” “Give me three ways you might...,” and “What’s your best bad guess?” can help you get them talking. Getting their plan first gives you great insights into how they think about the issue. Once you have their plan you can ask additional questions to help them identify problems and refine their approach. 6. Get their thinking FIRST. Knowing more about how they think also gives you insights into how to help them think better. 7. Be their colleague, not their parent. Micromanagement often feels like a parent talking to a child. Challenge yourself to see subordinates as professional colleagues. Sometimes even imagine that they are YOUR boss. Professional conversations look strikingly similar whether they’re happening with someone above or below you. Changing how you see the other person can help you change how you interact with them. You get a more professional work environment when you behave more professionally. Remember that you don’t have to micromanage people but you do need to manage them. Don’t get confused about the difference and don’t make the mistake of just being a Good Luck Manager. Solid management saves time, supports people and produces great results. It’s more than worth the investment of time and energy it requires. Wondering how to build processes that make it easier for your people to win? Check out Part II. It includes detailed instructions for how to think through the different parts of your organization, figure out what you need and where to start. Get the download HERE. When you apply process science and some tricks from human behavior you get three really smart ways to make meetings a whole lot better. Read more HERE. 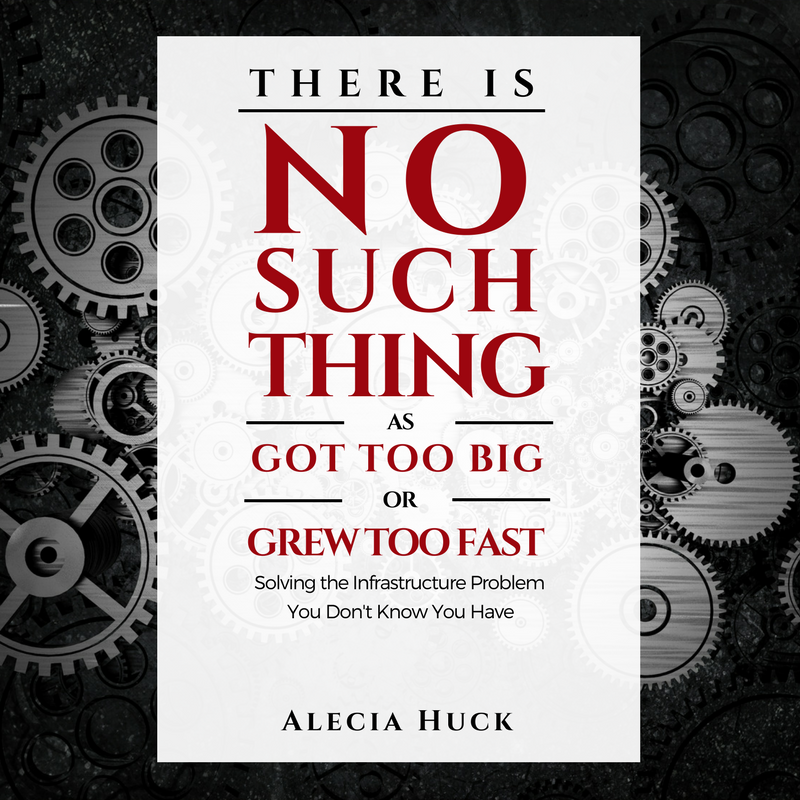 About the Author: Alecia Huck is a hard person to find and a good person to know. She specializes in working with fast-growth companies who need to learn the block & tackle skills of leadership; how to hold people accountable, run great meetings, keep track of people and work--the kind of tactical support that it is really hard to win without.